6 Best Pieces of Office Furniture for Small Spaces | Overstock.com keeps you organized and efficient, even when space is restricted. When you have a limited amount of space available for your office, investing in compact office furniture will create an attractive and productive work environment. 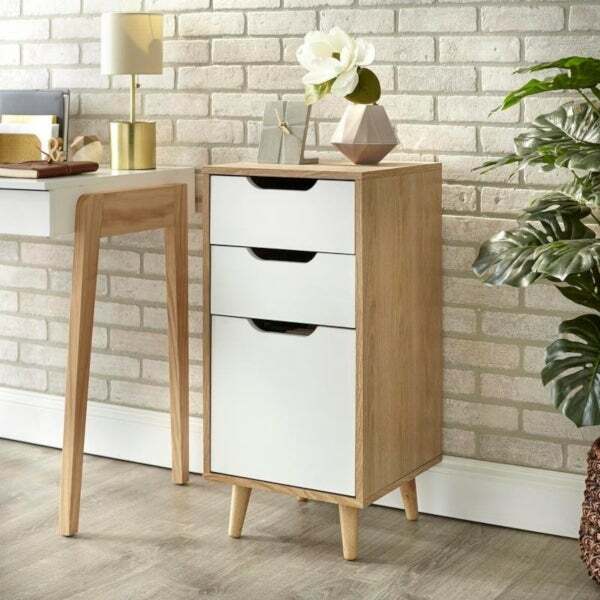 Small office furniture is available in a variety of styles and finishes, so we've put together some tips to help you decide how to furnish your home office. This guide will show you some of the best office furniture for small spaces. 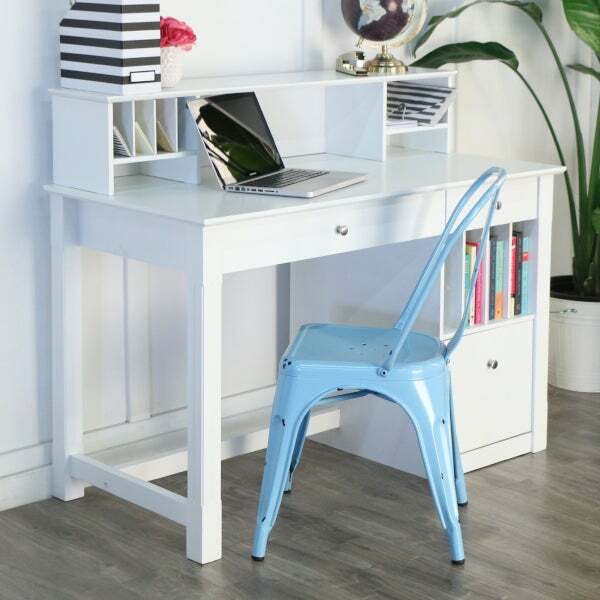 Computer desks come in all shapes and sizes, including smaller desks that won’t take up all your home office space. Look for compact computer desks with convenient features like built-in shelving, overhead compartments, and keyboard trays to maximize your storage space. 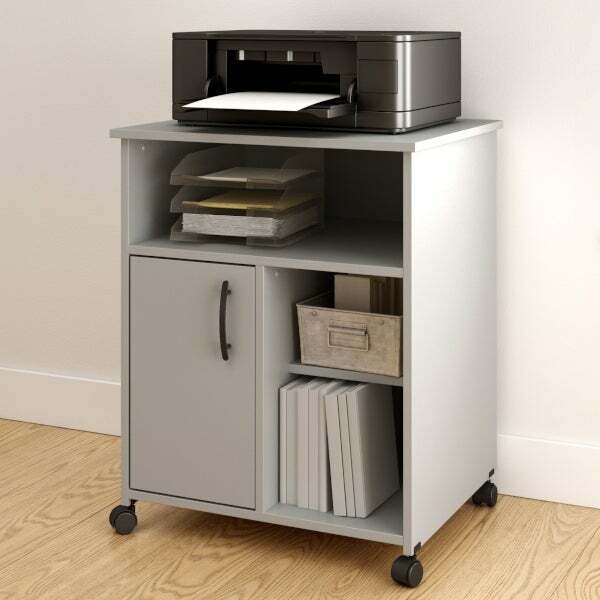 If having a mobile workstation is important to you, consider a wheeled computer desk that can be easily moved or stored. Choose a finish that complements your home office decor. Look for an office chair with a slender, supportive construction so you’re not hunching over your desk like Quasimodo. 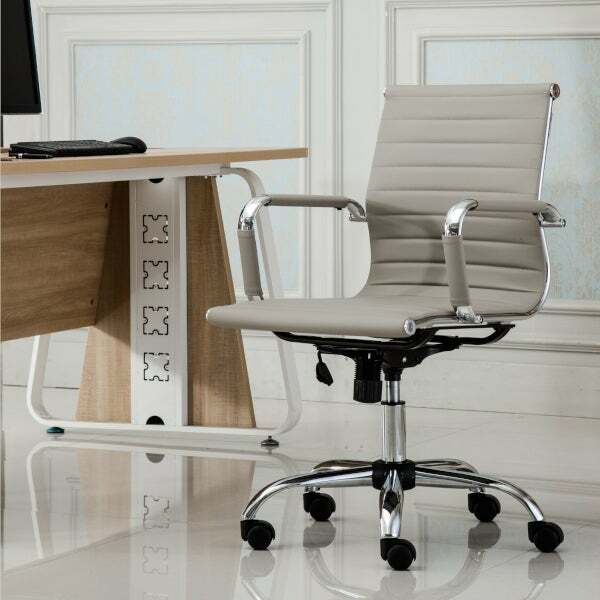 A trendy clear acrylic chair will visually open up a cramped space, while an office chair that wheels and swivels is perfect for an area with limited mobility. To save needed space, you could always opt for a standing desk and ditch a chair altogether. Want tips on decorating your home office? 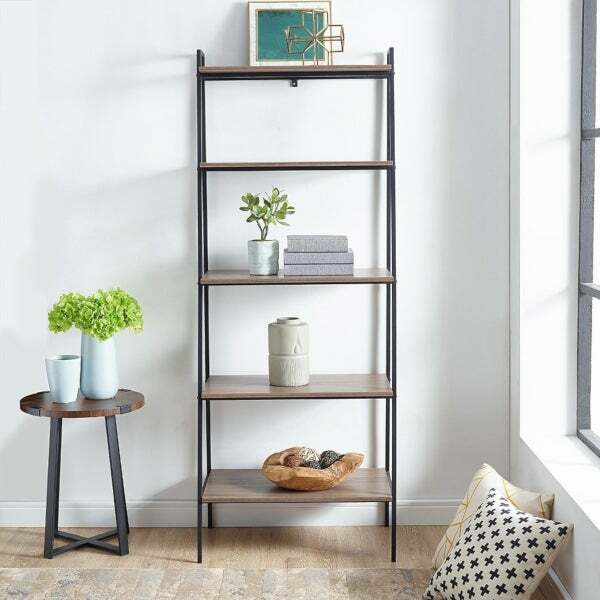 Discover the hottest trends in home office decorating with our Home Office Ideas.